Typescript has been evolving quickly in the last few months, and one of the things that have evolved more is its most differentiating feature: the Typescript type definitions. Does Typescript type safety necessarily mean more ceremony when writing code? What are the multiple types of Typescript Type Definitions? How do I use libraries that don't have Type Definitions available? What has changed in handling node modules from 2.0 to 2.1? What is the relation between Type Definitions and Npm ? When to install third party types? How can packages provide their own custom types? What is @types, when should I use it and why? What happened to the typings executable and DefinitivelyTyped? What are compiler opt-in types, when should I use them and why? Why do I sometimes get a 'duplicate type definition' error, and how to fix it? Why does it look like Promise type definitions sometimes don't work correctly? We are going to be covering all of this in this post, I invite you to code along (from an empty folder) to get the most out of it, as we will be going over the multiple concepts in an example-driven way. This is going to be a bit of a bumpy ride, but please have a look at the conclusions section, where we will summarize and give some general guidelines on how to make the most of the available type definitions. The benefits are very much worth it but it does take some getting used to knowing where to find the right type definitions and knowing which ones to use at any given moment. OK, I hope you will enjoy the post, so let's get started! What are the multiple scenarios for Typescript Type Definitions? So what is the difference? Let's start at the beginning: what if there are no type definitions at all? Because that is a very common case and will be so for years to come (if not forever). The larger and most used modules will likely have good type definitions, but what about smaller modules? Let's start with a simple example, let's setup a node project in an empty folder and install a simple module named uuid, that generates unique identifiers. Please notice that here we have created an initial package.json with npm init, and have installed a local version of Typescript. If you open this folder with an IDE like for example Webstorm, the Typescript version inside node_modules will be taken and used automatically. So you don't have to install Typescript globally, and its probably better to avoid if possible to avoid version confusions between projects, command line and IDE. So now that we have installed uuid, how do we use it? We are assigning whatever that single export is and assigning it to a constant named uuid, but what type will it have? And then we are using the uuid, which has implicitly taken the type any and we are using it to call it as a function. Let's try to run this to see what happens. But this is a Typescript file, so we can't call node on it and run it. Do we need a complex build system for that? No, we could simply create an npm script task that calls the tsc compiler and then runs the output using node. What will the results be of such a simple program? This will depend on the Typescript version that you are using, let's see why. test.ts(3,23): error TS2307: Cannot find module 'uuid'. So how can it be that the compiler does not find the module? We know that the CommonJs uuid module is there available in node modules, so why does the compiler say that it can't find it? Since 2.0 the compiler should look for modules inside node_modules by default, right? What is going on here is that there is a uuid module present, but uuid is not shipped with its own type definitions. So how can use uuid with this version of Typescript? test.ts(3,14): error TS2304: Cannot find name 'require'. This is because the function require is not known to the Typescript compiler, so it throws an error. So how do we solve this? Now everything is working as expected. With Typescript 2.1, if we have a CommonJs module available inside node_modules that has no type definitions available, we will still be able to import it and use it. But how can we use it as a function, what type is uuid then? What happens is that this module is being imported and implicitly assigned to the Any Type. How does the Any Type work? What does the use of the Type Any mean? But this also means that any module in npm is available for being seamlessly used in a Typescript program! What is the relation between Type Definitions and Npm? Let's now cover modules that ship with their own types. There are more and more modules each day that get shipped in npm with their own type-definitions already built-in. This means that the types are shipped directly inside the node module itself, and don't have to be installed separately. The Axios library has a default export that we have imported and gave the name axios. This import has implicitly the type AxiosStatic as declared on the Axios type definition file. Do we really need type annotations to get type-safety? This import named axios is not of type Any, and we have auto-completion available as well as refactoring and find usages, all working out of the box. More than that, do you see the AxiosPromise type annotation? It's actually redundant, if we delete it the type of the response the constant would still be inferred as being of type AxiosPromise, and we would have auto-completion working for that variable as well. More than that, do you see the configuration object after the url? That is automatically inferred to be of type AxiosRequestConfig, so we have auto-completion to fill in the request parameters as well. So why don't we get a compilation error at this stage because the object is empty? As we can see, all the properties are marked as optional using a question mark. So this is a good example of how using a library with built-in type definitions does not mean more verbosity in our program, or getting constant compiler errors. The biggest exception for this will be function parameters, where there is no way for the compiler to infer what is the type of a function parameter. But it's a great idea to mention the types of our function parameters for documentation purposes. This way, if by some reason the compiler can't infer the type of a variable, it will not implicitly assign it the type any. This is probably one of the most important properties available to configure the compiler. Now let's take the Axios type definitions, and see what we can do with them in terms of helping us to build a type-safe program. So out goal here is to have type safety in the then clause, by knowing there implicitly that the data returned is Lesson, without having to use a type annotation. Error:(13, 38) TS2315: Type 'AxiosPromise' is not generic. Error:(21, 14) TS7006: Parameter 'response' implicitly has an 'any' type. And this would work great, have a look at line 9 we added an explicit type annotation. But at this point we could think that Promise is a standard ES6 API, so why not use that instead? We would benefit both from a standard API and type inference in our program. So if this would be a node program, how could we do that? What we need to do is to use another library that does not necessarily ship with its own promise type definitions, or in this case that returns Promise-like types that are compatible with ES6 promises. So how can we use this client to write type-safe node programs, using the standard promise API? Error:(3, 12) TS2304:Cannot find name 'require'. What is happening here is that we have no type definition for this global function named require. The Node runtime does not ship with its own type definitions, so we need to import those types separately. Where can we find them? They are also in npm but need to be installed separately. So what did this do, what is this @types module? This @types scoped package is where we can find a ton of useful type definitions, such as for example the type definitions of node that allow us to use require for example. But if you have been following Typescript for a while, you might remember something called DefinitivelyTyped, and a typings executable, that we used to use before to install type definitions. If we head over to the npm page of the @types scoped package, we can see what happened there - @types. As we can see, all the content of DefintivelyTyped is now available under the @types scoped package, and we don't need anymore to use the typings executable to download type definitions. We can now simply use npm and the Typescript compiler will implicitly take any type definitions installed inside the node_modules/@types folder and include it during compilation transparently. When to use @types then ? The type definitions inside @types are super helpful, but some of those types might not be appropriate anymore in certain situations. Let's give an example with the Promises library. Error:(11, 38) TS2304: Cannot find name 'Promise'. So it looks like the node runtime type definitions that we added to our program don't include promises. So let's have a look at @types to see where we can find them. So what will this do? IT will install type definitions for ES6 promises, which includes a generic parameter for the Promise type. So now we can say that this function returns a Promise of Lesson, and have the type of the variable lesson to be correctly inferred by the compiler as being of type Lesson. Which is exactly what we wanted, but there is a huge catch. And it's a good example of how we should not take all the types available in @types systematically, but pick and choose. What is the catch with the use of es6-promise? Can you see the issue? The function is returning a Promise of string, because the lesson has been transformed into a string by the then clause. But yet the program compiles without any error. So what is going on here? As we have seen before, not all type definitions leverage the type system to its maximum extent. This is also because the Typescript compiler features keep evolving so fast that not all type definitions leverage all the latest features. Which can be great because we might not want to use generics all the time in our programs, so returning Any in our API and assuming the caller will add a type annotation is a viable solution as well. But in this case, we would really like to use Promise with a generic parameter, because it's a really great fit for that. It really makes sense to specify in our program what type of data is the Promise expected to return, and use that information to type-check the program. So what can we do? It turns out that the Typescript compiler itself ships with a ton of Type definitions ready to use, and one of them is Promises. Have a look at the compiler options, at the --lib flag here. There are a ton of type definitions available that come bundled with the compiler, including for example all the type definitions of ES6 itself, which includes Promises. So with this, the compiler knows of a Promise type that is built-in with the compiler. So if we compile our program with that turned on, what do we get? node_modules/@types/es6-promise/index.d.ts(42,19): error TS2300: Duplicate identifier 'Promise'. node_modules/typescript/lib/lib.es2015.iterable.d.ts(145,11): error TS2300:     Duplicate identifier 'Promise'. Why do I sometimes get this 'duplicate type definition' error? test.ts(11,12): error TS2322: Type 'Bluebird<any>' is not assignable to type 'Promise<Lesson>'. Property '[Symbol.toStringTag]' is missing in type 'Bluebird<any>'. Do make sure to have a look at the conclusions to summarize what is going on here. It turns out that @types/request-promise already comes with its own Promise type definitions after all: Because those type definitions use internally Bluebird type definitions (Bluebird is a great promise library, used by Sequelize for example - a Node ORM). So what can we do at this point? Because it looks like the type definitions of @types/request-promise are incompatible with the types from the ES6 built-in type definitions at the moment. This a temporary situation because Bluebird promises used to be compatible with ES6 promises for a long time, and actually this is likely to have already been solved by the time you read this post. What to learn from this example? This is a good example of how using the latest type definitions might not always be viable or the best approach at any given time. It's an option but needs to be weighed against other things. Sometimes using the simpler types that are available like AxiosPromise or the return of request-promise calls is a much more viable alternative, and then simply add a few extra type annotations where necessary, in case those APIs return Any. So as a general guideline, it's better to choose packages that come with built-in types and use those types as much as possible via type inference, only importing third party types if needed and picking and choosing the best fit at each moment. What would the error look like that we were looking for? test.ts(31,16): error TS2322: Type 'Promise<string>' is not assignable to type 'Promise<Foo>'. Type 'string' is not assignable to type 'Foo'. So the compiler is prepared to handle the detection of this error. It's just that the library type definitions available need to evolve over time to leverage this functionality, and there will likely always be some sort of gap. The Typescript compiler will apply the latest type checks to any type definitions available in node modules, including @types. To avoid this, and ensure that only our program is checked by the compiler we can use the flag skipLibCheck to true. This prevents the more recent versions of the compiler to throw errors against ancient libraries and also has the added benefit of increasing the performance of your build in a noticeable way. 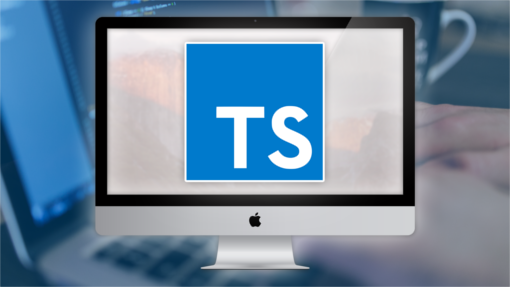 OK so now we have reached the end, it was a bit of a roller coaster but this is very close to the everyday issues that you will find while developing with Typescript. Let's try to make sense of it all, and try to come with some general guidelines to use the type system effectively in the next section. If we are using Typescript, we have multiple sources of Type Definitions, and knowing which ones to choose and why is essential to be able to have a good developer experience. We need to be aware of one thing: the compiler is always adding more features, but the libraries available might not leverage them yet. When should we use compiler opt-in types? It's a great idea to use the compiler built-in types (the lib flag) as much as possible because those types are written to maximize the type safety of our programs and make sure we conform to standard APIs. But depending on the current state of existing libraries, it might introduce other issues. When opting-in to compiler built-in types, do make sure that they don't conflict with types that we already imported before like es6-promise, and that they don't affect third party types if not needed by using skipLibCheck. But don't feel obliged to use opt-in types, there is a good reason why right now they are turned off by default, it's because of backwards compatibility with part of the existing ecosystem. When should we use @types ? It's better to instead of using @types systematically, to try to use the built-in types of each module as much as possible, and use @types strategically if necessary for example for modules like Express or Sequelize. So if you also install @types/firebase you will run into duplicate type issues. On the other hand things like @types/node are essential to writing any node program. So the suggestion here is: have a look at the built-in types to see if there is anything there similar to what you are looking for. Have a look at the node module itself to see if it has already types inside it: this will be more and more common. If no types are found neither inside the module nor built-in to the compiler, then have a look at @typesto see if there are some good types there. Fast forwarding to the future, the ideal would be that @types no longer exists and that most libraries ship their own type definitions. But that won't happen anytime soon and its great to have those high-quality types there available. What if no type definitions are available? If no type definition files are available for a given library, that will not prevent us from using it. With Typescript 2.1, we can import the library directly and anything imported will be assigned the type Any. How to make sure our programs leverage type safety effectively? One of the best things we can do other than carefully choosing the types we add to our program is to turn noImplicitAny to true. This will have the effect that the compiler will be able to infer almost all types in your program, at the expense of only a few type annotations, especially in function arguments which is a great thing to add anyway.